Cuker’s recent website for the Nixon’s Blaster has by recognized by the Awwwards, an international site that recognizes the industry’s best web designers, developers and agencies. The Awwwards features the best creative work on the web honoring top websites and campaigns. 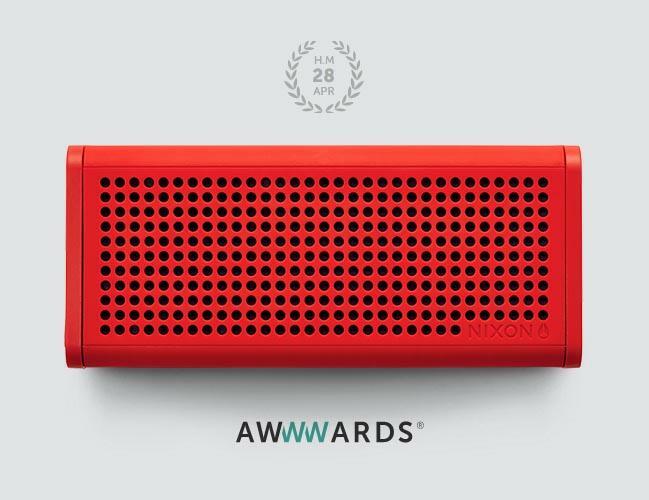 Cuker’s responsive website showcasing Nixon’s new durable wireless Bluetooth speaker was also recognized by the Awwwards as one of the best websites with social media integration. The site is also in the running to be featured in the published book "The 365 Best Css Websites Around The World" in 2014. The Nixon Blaster website is the center of the ‘Bigger. Better. Louder.’ digital and social media campaign. The mobile responsive design provides an optimal user experience across smartphone, tablet, and desktop devices. “We’re always pushing each other and aiming to deliver the best work. We’re honored to be recognized by the Awwwards and this feels like validation for all of our hard work and collaboration on the project,” says Natalie Rosales, Account Manager. The Nixon Blaster campaign joins a growing list of Cuker clients that have been recognized by the Awwwards including Rip Curl and OluKai. About Awwwards Awwwards recognize the talent and effort of the best web designers, developers and agencies in the world with a mission to discover, recognize, and promote the talent and effort of web designers, developers, and agencies who create unique digital experiences that are useful, innovative, intuitive, and beautiful. To learn more, please visit www.awwwards.com.